Home / SURPLUS, military and civilian. 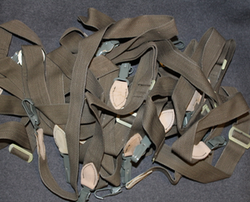 / Military surplus by category / Utility straps, carry belts, hooks, clasps. 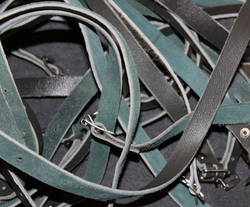 Varius straps and clasps for gear. Finnish Army shoulder strap, canvas, WW2 model, unissued, original. 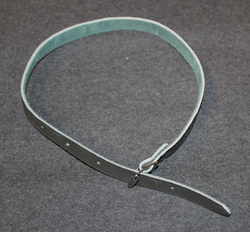 Finnish army heavy duty utility strap, 25mm, leather, like as new.